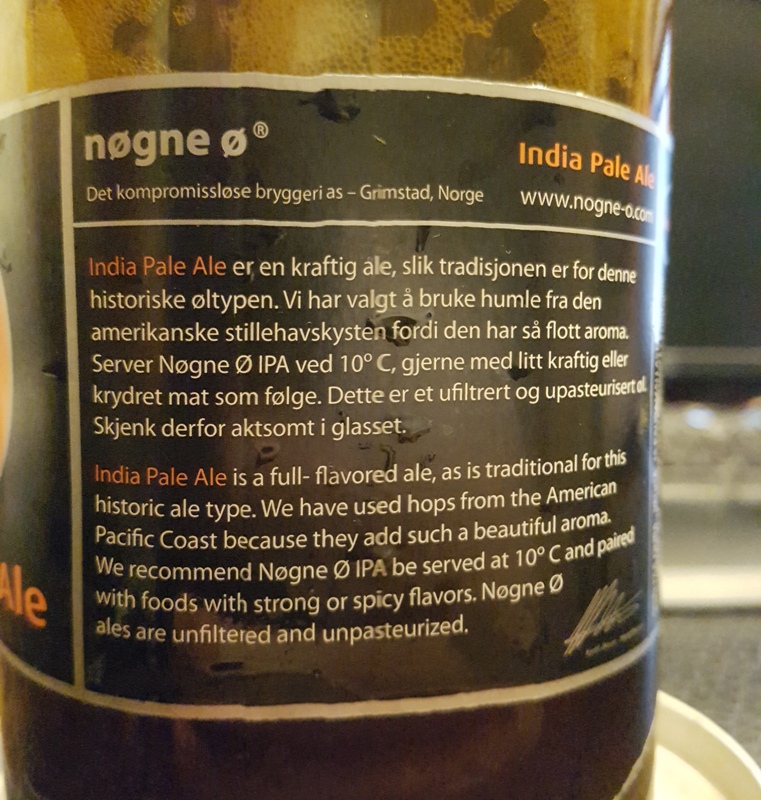 India Pale Ale – Nogne Ø (Grimstad, Norway) | Justintoxicated. Visual: (cellared for 3 years). Huge gusher! Unfiltered yeast working OT. 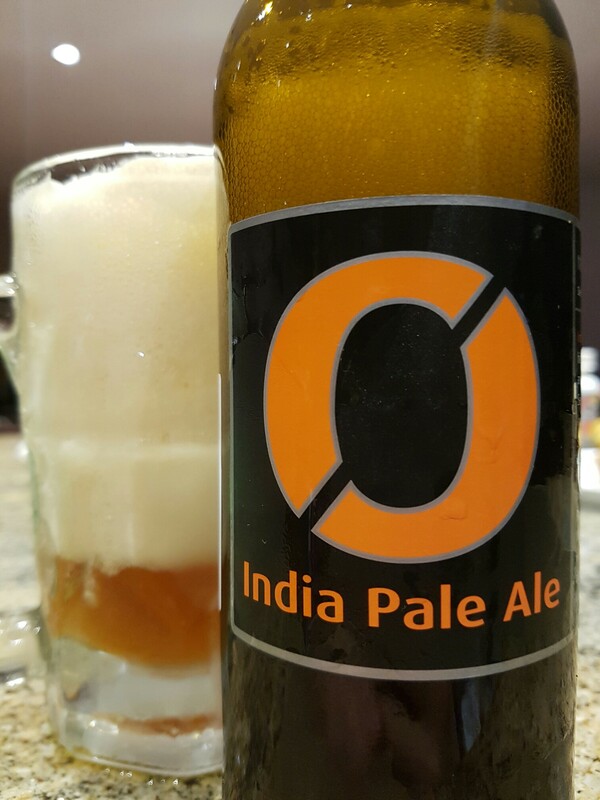 Pours 80/20-head/beer ratio, super thick foam, thick sticky lacing, opaque pale orange-brown, super clustered micro activity. Summary: Definitely not your standard IPA. The woody funk goes pretty well with the alcoholic sweet fruity barley malt body. The quality is a cut above the local brews here.